Though the most of the country is currently in the grip of icy winter weather, it won’t be long before the trees start budding and campers and hikers head back to the woods for camping season. Whether you’re a first time camper or experienced backwoodsman, you’ll always want to check out your gear before setting up camp in the mountains or forests. Of course the biggest item on any camper’s list is his or her tent. If you’re going to sink some cash into any single item, go ahead and spend extra on your tent. A good quality tent will last you for decades and, when it starts raining cats and dogs outside and your cozy and warm in your tent, you’ll look at that as money well spent. No matter how long you’ve had your tent, you’ll want to set it up at least once before you head up to the hills. All those tent stakes and snaps have a way of disappearing during the offseason, so taking the time to set up in town can save you some major headaches. Another item that’s worth investing in is a good pocket knife and knife case. People who don’t camp much love to joke about those oversized Swiss Army Knives that hold every tool you can imagine, but experienced campers know that these bad boys are indispensable on the trail. Having quick access to a pair of pliers or a magnifying glass makes life a lot easier when you’re far from civilization. If your outdoor activities are focused more on hunting than hiking, you’ll probably need more than one knife in your camping kit. We recommend investing in a good couple good Buck knives and a sharpening tool to make field dressing your kills as quick and easy as you can. Most good hunting and fishing shops carry a full line of Maxpedition Knife cases to carry your field dressing tools in and we highly recommend adding these rugged tools to your outdoor supply list. The Boy Scouts have long used, “Be prepared,” as a motto and we heartily agree with that sentiment. Outdoor activities are far more enjoyable when you’ve taken a little time in advance to make certain you’re bringing along high quality supplies that are in good working order. 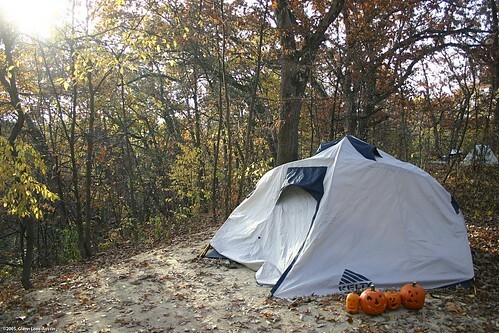 After all, unless you’re camping in Central Park, chances are you won’t have any opportunity to easily replace and repair camping equipment once you’ve set out for the hills. Brian Olsen writes about family and travel. Submitted by travelfreak on Wed, 2013-02-13 19:34.